Update | The BBC has stepped up its information campaign surrounding the imminent switch-off of a number of Medium Wave services, due to take place in a few weeks. As announced by the BBC in August, seven local radio stations will see their Medium Wave services being cut at the beginning of 2018, with three further stations having one of their current MW frequencies being closed. A total of thirteen MW transmitters are affected. 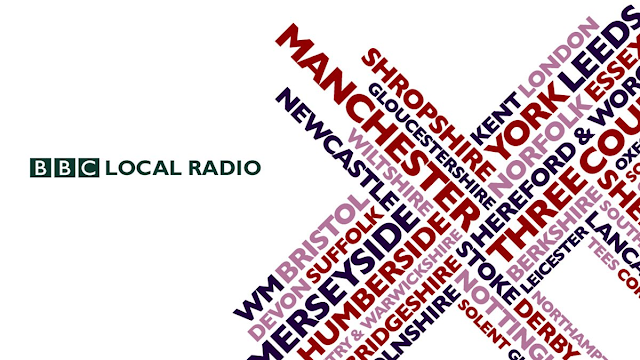 Listeners who tune in on FM, DAB, Freeview or online are unaffected by the changes. The switch-offs are due to complete between 3rd January and 15th January 2018. 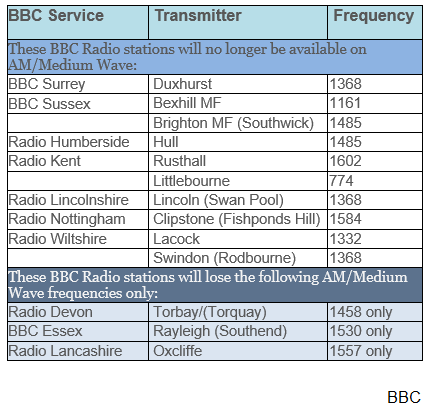 The BBC says it decided which transmitters would be shut after assessing the coverage of each BBC Local Radio station on FM, MW and digital radio, which highlighted stations where MW transmitters duplicated good FM or digital radio coverage. It added that the cost savings from these closures "will allow the BBC to continue to modernise its infrastructure in order to meet our listeners' changing needs." For most affected listeners, switching to FM or DAB is likely to be the solution for continued reception, although for those without good FM or DAB reception, the BBC points out that the stations are available on Freeview and the internet. Other BBC MW services, including BBC Radio 5 Live's broadcasts on 693 and 909KHz, are not affected. The process is also not related to the proposed digital radio switchover and the broadcaster has emphasised it has no plans to end FM transmissions of BBC Local Radio services.